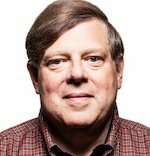 Mark Penn has assumed the helm of MDC Partners as his Stagwell Group agrees to pump a $100M equity infusion into the financially strapped ad/PR company. With the investment, MDC has called off its strategic review and search for a CEO. Irwin Simon, MDC's presiding director, called Penn "a strategic operator" who "as a marketer, agency founder, global thought leader and investor will be critical to bolstering our structure, solutions and services." Before launching Stagwell, Penn was executive VP/chief strategy officer at Microsoft, CEO of Burson-Marsteller, co-founder of Penn Schoen Berland, and pollster/advisor for Bill and Hillary Clinton, Tony Blair, Bill Ford and Bill Gates. He called MDC a place brimming with "some of the world’s best creative and strategic talent; strategists with a deep understanding of the way technology and media solutions address the needs of today’s modern marketer." MDC's PR firms include Hunter, Allison+Partners, KWT Global and Sloane & Co.
Stagwell's investment roster include Finn Partners and SKDKnickerbocker.